Patients receive after surgery information and supplies from a BCA-CV staff person to aid in recovery from breast cancer surgery and/or treatments. Included in these supplies are the Breast Cancer Treatment Handbook and our “After Surgery Heart Pillow”. The handbook is an excellent source of information for a newly diagnosed breast cancer patient that covers all aspects and phases of emotions, surgery options, and treatment options. BCA-CV provides FREE wigs, scarves, and hats for ANY women going through chemotherapy, not just breast cancer patients. Our wig room, known as Barb’s Boutique, offers a relaxing atmosphere where our staff can spend one on one time with patients to help them choose what head covering best fits their needs and personality. Each wig comes with a care kit that includes a wig brush, a wig stand, cleaning supplies, and care instructions. Losing your hair from chemotherapy can be difficult and scary. Our hope is to ease the stress for our patients while they are choosing a head covering and help provide them with extra confidence and bring a smile to their face. For women with no health insurance, or for those in financial need, BCA-CV provides FREE breast prosthesis and bras. We offer an intimate environment where our staff will measure and fit each patient with the appropriate prosthetics and bras. Patients receive 2 mastectomy bras yearly and breast form(s) every 3 to 5 years. Angels are volunteers that send weekly cards/notes to diagnosed breast cancer survivors while they are going through treatment. This program offers a great deal of encouragement by putting a smile on a patients face when they receive their unexpected card or gift in the mail. 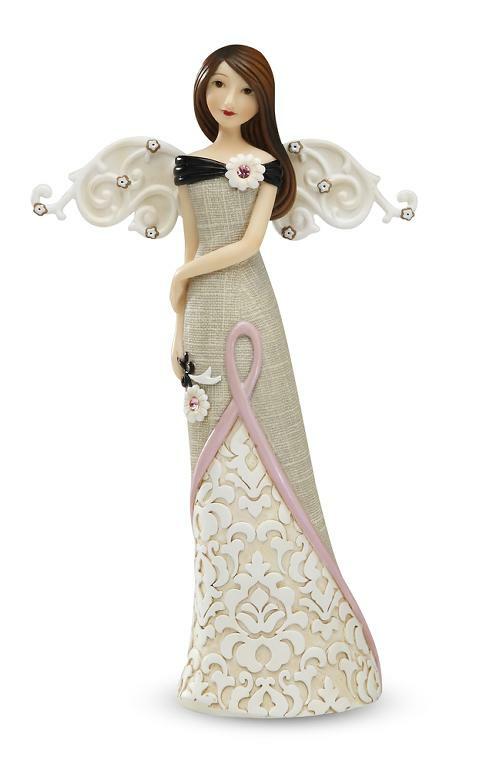 For information on how you can become an Angel and provide support to breast cancer patients call our office for details. Even with what would be considered a good insurance policy, we realize that medical expenses can quickly add up. The Special Needs Assistance Program is designed to help with financial costs for basic living expenses (ie.mortgage, rent, utility bills) for patients in active treatment for breast cancer. No medical/prescription bills will be considered. This program is only available to breast cancer patients living in Western Maryland, Franklin and Fulton Counties in Pennsylvania, and Jefferson, Berkeley and Morgan Counties in West Virginia. Applications are available through the BCA-CV Office. Guidelines apply. Restaurant and grocery store gift cards are given to breast cancer patients to help put a meal on their table while they are going through chemotherapy and radiation treatments. FREE one-time, two (2) hour house cleaning for breast cancer patients receiving chemotherapy. The professional cleaning companies that BCA collaborate with are both bonded and insured and vary depending on your county of residency. A day of fun activities, relaxation and friendship for breast cancer survivors. This program caters to the children of breast cancer patients. Each child can receive a kid’s care package that is age specific which may include items like a teddy bear, coloring sheets, and a book about thier parents diagnosis. It contains items that help open up communication between the child and their family as well as provide a better understanding of their parent’s diagnosis. In addition, it helps children recognize that they too are included in this journey their parent is facing and not leave them to feel unimportant. Sessions allow patients and their families to share stories, concerns, and questions with the group under the guidance of a professional counselor. Our support group meets the second Monday of every month at 7 PM at the Breast Cancer Awareness-Cumberland Valley office. Family members and friends are welcome. Children are welcome but must be 16 years or older to attend. BCA-CV offers individuals meeting the program guidelines listed below the opportunity to receive a mammogram at no cost. If after the mammogram the patient needs further follow-up testing, BCA-CV will pay the expenses for one ultrasound per year. Published two times a year providing information on breast cancer treatments, area programs and survivor stories.